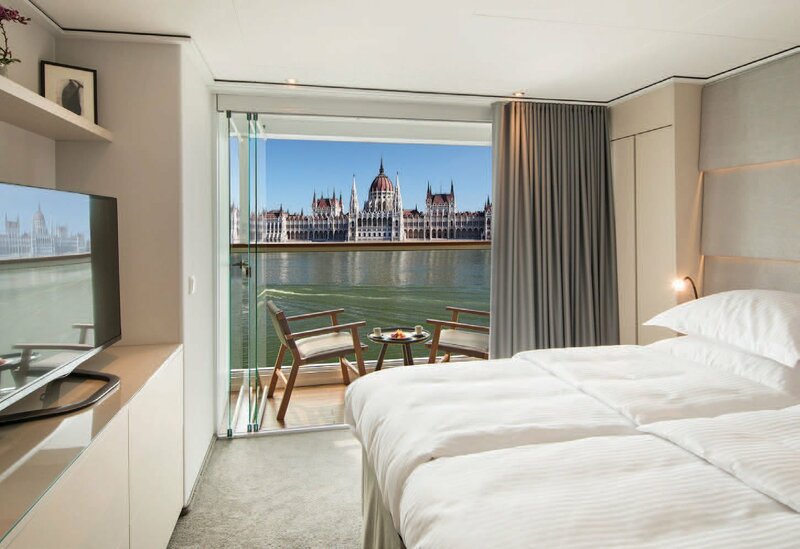 The commercials for elegant river boats plying the waterways of Europe, gliding past hilltop castles and grape-laden vineyards, may seem too good to be true. They’re not. A friend and I, both river cruise novices, booked a week on Emerald Waterways’ “Classic Rhine River Cruise.” The premium river cruise company gets high marks for its elegant, comfortable ships; gourmet, locally sourced meals; and upscale amenities like a heated infinity pool surrounded by loungers that transforms into a big screen movie theater at night. We were confident the lovely floating hotel could deliver an engaging cultural experience at every port—and as active travelers were looking forward to new fitness excursions to fulfill our need for exercise beyond the onboard walking track and gym equipment. 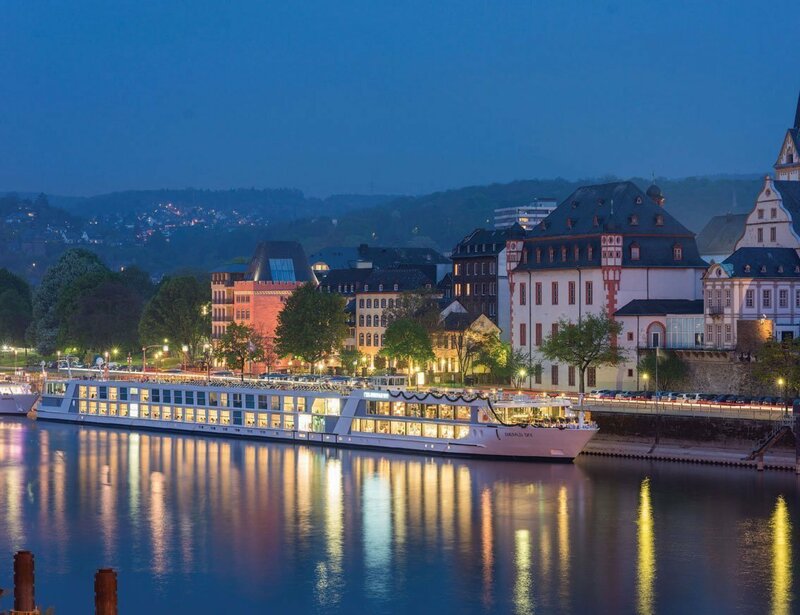 Such “active” programs have been launched by a handful of river cruise companies in response to passengers asking for more variety at port destinations. Emerald Waterways’ program EmeraldACTIVE was introduced in 2017 and includes guided hikes (guest rooms are stocked with hiking poles), bike rides, yoga, and more. Aside from guided bike tours, guests can reserve a bike to tour around on their own for a few hours. And the bikes aren’t limited to the passengers. While docked at port, we saw the ship’s captain and a few crew members pedaling away to get a bit of morning exercise, see the sights, or run errands. As for the sights we passed on our journey from Amsterdam to Mainz, Germany, on the Rhine and Moselle rivers, the word “charm” is an understatement. 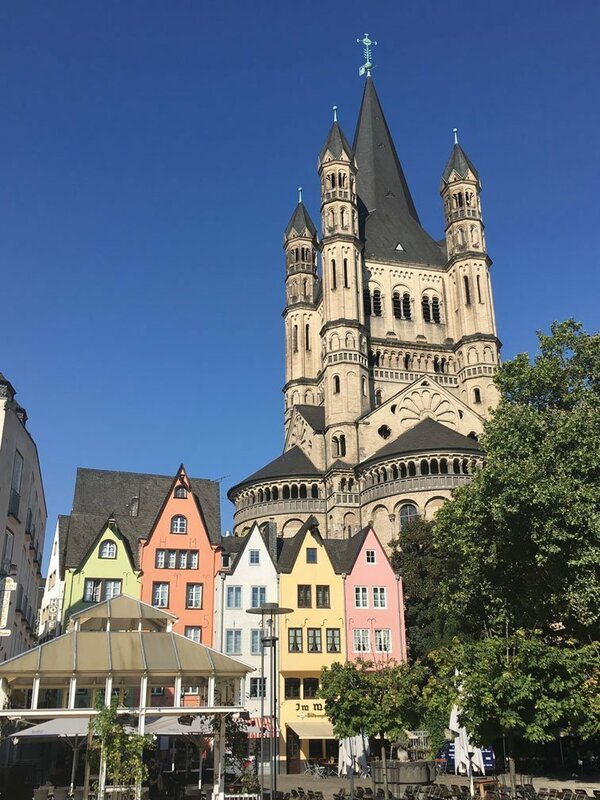 Our boat glided from historic village to village, including Xanten, Andernach, lovely Cochem, the historic wine-growing town of Bernkastel, and all along the beautiful Moselle Valley. Every morning we pulled back the curtains to unveil a lovely new storybook scene. A favorite feature in our double-bedded room was the remote control, which opened up our private balcony floor-to-ceiling windows, bringing the outside in. But my favorite time was sunset, when I’d stroll the top deck of the ship from side to side, and port to starboard, gazing at the constantly changing views of villages, vineyards, riverside festivals, and picnics. As we floated by, the villagers’ faint laughter found us like a slow-moving ripple in the water. And right on cue, as the night sky deepened into moody blue, twinkling lights from a riverside medieval town brightened the darkness, and the yellow moon crested over the top of a hilltop castle. Enchanting? Completely. 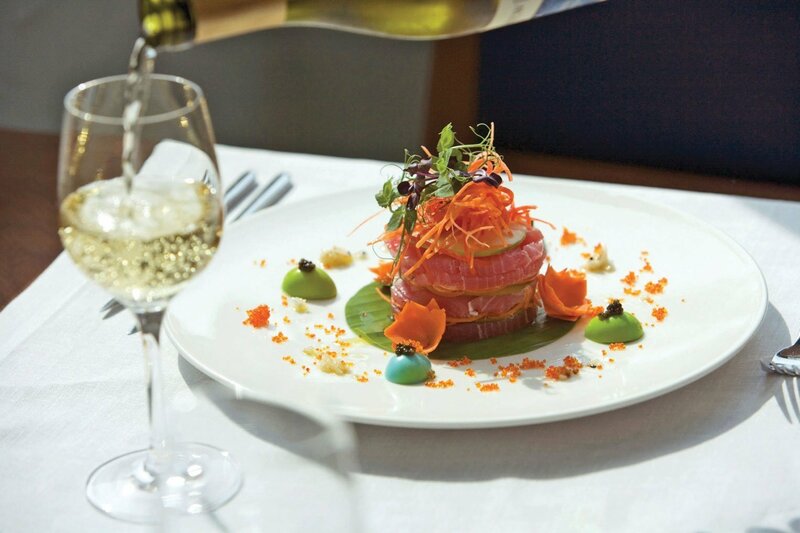 Even if you never get off the ship to explore the historic sites, it’s definitely worth the ride.